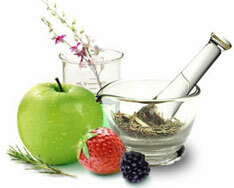 Ayurvedic medicine aims to integrate and balance the body, mind, and spirit; thus, some view it as "holistic." This balance is believed to lead to happiness and health, and to help prevent illness. 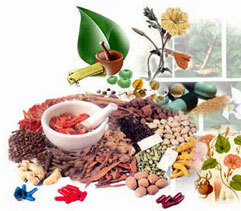 Ayurvedic medicine also treats specific physical and mental health problems. A chief aim of Ayurvedic practices is to cleanse the body of substances that can cause disease, thus helping to re-establish harmony and balance. 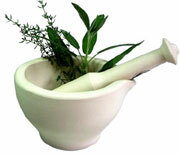 Ayurvedic treatments rely heavily on herbs and other plants-including oils and common spices. Currently, more than 600 herbal formulas and 250 single plant drugs are included in the "pharmacy" of Ayurvedic treatments. Historically, Ayurvedic medicine has grouped plant compounds into categories according to their effects (for example, healing, promoting vitality, or relieving pain). The compounds are described in texts issued by national medical agencies in India. Sometimes, botanicals are mixed with metals or other naturally occurring substances to make formulas prepared according to specific Ayurvedic text procedures; such preparations involve several herbs and herbal extracts and precise heat treatment.